The best of Nepal tour is an awesome tour and exclusive tour package for Nepal that is ideal for all aged travelers. The Best tours in Nepal is designed in such a way that you will be able to have an opportunity to have tour around almost all the major touristic places of the country in the single visit in Nepal. You will have a tour around the old cities, which have still been able to preserve the old tradition as it is, equally have tour to the countryside that are perched on the hills to the plain land in Terai, which are clustered with tiny monasteries, charming settlements of various ethnic groups, who are rich with distinctive culture, rituals, lifestyles, moreover, amazed with their innocent and charming smiles, amazed with incredible landscapes on our best tour in Nepal. You will have best holiday trip along with magnificent and enchanting hillside or in Himalayan region, you will have an amazing glimpse of majestic Himalayas, you will walk around, wildlife safari mainly in Chitwan and go for boating in Pokhara, have bird-watching, explore diverse flora and fauna and the Nepal best tour is one of the tour packages most frequent organized by among the team of Outfitter Nepal Trek and Expedition. You will wander around almost all the cultural and religious monuments and temples in the Kathmandu valley namely-- Patan Durbar Squares, at Patan, the Buddhist Stupas Baudhanath and the finest ancient royal palace of Bhaktapur Throughout the voyage in Kathmandu valley, you will wonder with awesome arts and architecture and the temples you see at every step you take, especially their unique tales, and non-stop feast, festivities and carnivals. You will have a drive to Pokhara, a picturesque valley, where you will explore around the mysterious, natural water fountains, Peace stupa, temples, go for boating in Phewa lake, and have short drive to Sarangkot and Hike to Naudada from where you will have wonderful views of range of mountains--Mt. Annapurna (8,091 meter), the worlds 10th highest mountains, Mt. Fishtail, or Machhapuchhre (6,997 meter), Lamjung Himal (6,941 meter) to name a few. After exploring around Pokhara valley, you will drive to Chitwan National park, one of the finest and largest national park, where you will find that full of wild-life, abundant variety of flora and fauna and equally you can enjoy with jungle safari, elephant riding, canoe ride, jungle walk bird watching and what not. Afterward, you will have a drive to Kathmandu and you will have day tour to Bhaktapur Durbar Squire, one of the finest ancient royal palace of Nepal and you return home the next day. Samsara Resort in Kathmandu – 4 nights: We offer Samsara Resort Hotel in Kathmandu for the 4 nights of the tour and Samsara Resort is located away from the hustle and bustle of the traffic in Kathmandu, yet it is near to all major shopping locations. Due to its strategic location you can have easy access to all popular tourism spots in Kathmandu; we offer this hotel or the similar category for the 3 star packages on our best tour in Nepal. Splendid view in Pokhara – 3 nights: Hotel Splendid View in Pokhara offers variety of deluxe rooms that are fully air-conditioned and have wireless internet access. Enjoy the incredible view of the Annapurna peaks from your room window or climb to our rooftop garden for the best of sights around Pokhara. And for easy access to upper floors, they also have an elevator (lift) and we offer this hotel or similar for our 3 star standard best of Nepal Tour. Rhino land Jungle lodge in Chitwan- 2 nights: The Rhino Land Jungle Lodge offers a separate package exclusively for touring Chitwan National Park, and helping you to navigate will be our own staff members - hand-picked individuals specialized in wildlife, bird-watching and tour guiding - to be your personal guides into your experience in Nepal’s most renowned National Park and we offer this hotel accommodation or similar on our best of Nepal Tour. Nepali Ghar in Kathmandu- 4 nights: Nepali Ghar Hotel in Kathmandu is designed and crafted in a traditional way to provide an authentic Nepalese experience whilst meeting the modern comfort, technology and facilities. Equipped with all facilities such as heavenly bed, high speed Wi-Fi access, 24/7 fitness centre, meeting room, all day dining, room service and genuine Nepalese hospitality that assures a memorable experience! So, we offer this hotel or similar in our best of Nepal Tour 4 star premium option. Atithi Resort and Spa in Pokhara- 3 nights: the Atithi Resort and Spa is a unique resort seated at the heart of the city of lakes, Pokhara. ‘Atithi’ is ‘Guest’ in English typically chosen to reflect the well nurtured Nepalese culture of revering ‘atithi-guest’. Atithi is richly furnished with the modern architecture and amenities. The beautiful wild rosewood furniture, well designed swimming pool along with rejuvenating spa, private Jacuzzi and sauna rooms have carved a niche of luxury in it and we offer this hotel or similar on our 4 star premium option of our Best of Nepal Tour. Green Park in Chitwan- 2 nights: At Green Park Chitwan, tradition meets trends culture meets class. While you might be resting on a mattress that would take you to the ninth cloud, your smile would tell that the walls are embellished with red clay from the very soil of Baghmara. While you might be taking a rain shower with any temperature of water you wish of, the tiles of the floor on the wall would make you lose yourself in the Nepali art. Your head would be rested on wood and cushions, but just a hand's reach away would be an air conditioner that would whisper the coolest of breeze. So, we offer this hotel or similar for the 4 star premium option of our best of Nepal Tour. Hotel Annapurna in Kathmandu- 4 nights: The Hotel Annapurna is 5 star hotels in Kathmandu and it is 50 years old and counting and over 50 years of perfecting of services to make sure you have a stay to remember. The hotel is in the heart of the city. So you are minutes away from both breathtaking heritage sites and many of the diplomatic and business districts So, we at Outfitter Nepal offer this hotel or similar in our best of Nepal tour package in Luxury. Hotel Fishtail Lodge in Pokhara- 3 nights: The Fishtail lodge is situated on a peninsula with the Fewa Lake on one side and a forest-covered hill on the other, Fish Tail Lodge offers spectacular views all around making it a unique lake resort. It was established in late 1960’s with unique round cottages that are set amidst a lush garden. The Fishtail Lodge is ideal for travelers seeking the charm of a small hotel with very high standards so, we offers this hotel or similar on our best of Nepal tour for luxury traveler. Green Park in Chitwan- 2 nights: At Green Park Chitwan, tradition meets trends culture meets class. While you might be resting on a mattress that would take you to the ninth cloud, your smile would tell that the walls are embellished with red clay from the very soil of Baghmara. While you might be taking a rain shower with any temperature of water you wish of, the tiles of the floor on the wall would make you lose yourself in the Nepali art. Your head would be rested on wood and cushions, but just a hand's reach away would be an air conditioner that would whisper the coolest of breeze. So, we offer this hotel or similar for the luxury option of our best of Nepal Tour. A: The cost that we have offered in our site is based on the 3 star options however if you prefer to upgrade the accommodation, please simply write an email at info@outfitternepal.com then we will offer you the best price for the 4 star or luxury options for your best tour in Nepal. B: The given 10 days best of Nepal tour is the standard tour program that is suitable for every one and if the given program is not fit for you. Then we have multiple tour program such as 7day Leisure Kathmandu-Pokhara-Nagarkot Tour, 7 days Kathmandu and Chitwan National park Tour or many other tours in Nepal and we offer tailor made tour programs as per your days and interests as well so, let us know your comments through email. You will visit UNESCO world heritage sites in Kathmandu valley that includes Patan Durbar Squire, Bouddhanath Stupa and Bhaktapur Durbar Squire. 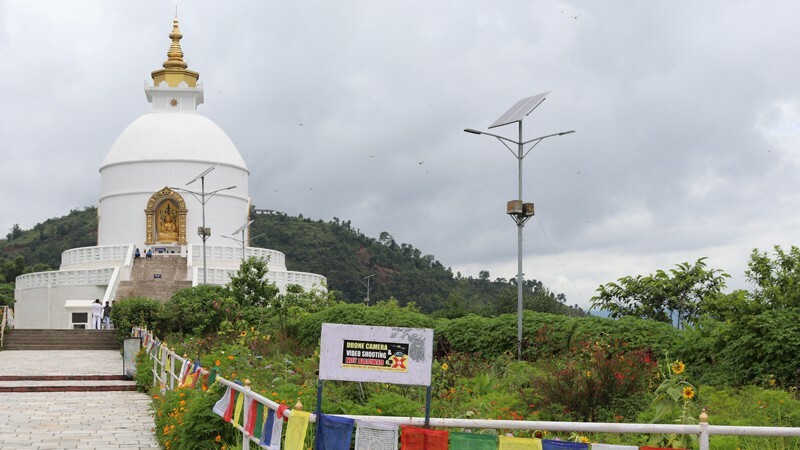 Boating at Phewa Lake, Visit Barahi Temple and hike to World peace stupa. Sunrise from Sarangkot and hike to Naudada, great view of the Himalayas. Option to take paragliding in Pokhara. Jungle Walking, Canoe Ride and Bird Watching in Chitwan National Park. Elephant Safari or Jeep safari and Tharu Cultural Program in Chitwan. We have set the list of the departure date for Best of Nepal 10 Days Tour , please look the list of the date and choose your favorite date for the tour and Booking now if you are looking for small group departure Tour or Request for your own departure if any of the dates are not suitable for you or if you are looking private tour with just your people, family, friends etc… or if you want to have solo Tour as the Tour can be departed on any day of the year. All the airport transfer by the private vehicles. Four nights’ hotel in Kathmandu including breakfast. Three nights’ in Pokhara including breakfast. Two nights’ hotel in Chitwan on full board basis (breakfast, Lunch and Dinner) with all the mentioned jungle Activities. Transportation from Kathmandu -Pokhara - Chitwan- Kathmandu by Private Vehicle. All the applicable entrance fees for the monuments and National park. Local guide for the tour. Food (Lunch & Dinner) during the tour except while you is in Chitwan. Kim and myself would like to express our thanks to you and your team for helping to make our trip to Nepal one to remember for a long time. We had a great time and were perfectly matched with our other tour members. We look forward to coming back soon. Everest Base Camp Private Trek ! 10 Days Best of Nepal ! Arjun and Birodh made our trip a pleasant experience. We took the 10 days best of Nepal tour with Outfitter Nepal and we have no regrets. UNESCO listed places and temples were covered in the itinerary which are a must see! One has to experience Nepal physically and spiritually which Outfitter Nepal did just that. My wife Sumitra joins me in THANKING ! Outfitter Nepal for giving us this outstanding tour. We had thoroughly enjoyed our whole tour and carried so many good memories back home. We couldn't have done this without your support and organisational skill. Right from our arrival to our departure, you have demonstrated high level of professionalism, which made our stay and journey so easy and pleasure some. It is just beyond words to praise you guys. I would particularly like to mention the names of our guides SABITA and BIRODH. They had been fantastic. At times they went out of the way to help us. They worked tirelessly so that we can enjoy the very best. SABITA spent an extra 3 hrs with us after her duty ended, so that we can have Darshan at Pashupatinath. Well done SABITA , we thank you so much. BIRODH is an young man full of enthusiasm. He brings extra skill like his knowledge of photography and applies to his job. He helped us a lot in taking creative photos. He also carries other equipments like phone chargers, dust masks, music collection to entertain customers etc, which adds spices to his job and makes the journey so comfortable. He even went out of the way and bought us local popular dish yogurt to try at Pattan Darbar. He took us to shops where we can do our purchasing at bargain price. He even took us to Chandragiri Hills, which was not in our original itinerary and we enjoyed it so much. He is fluent in English and Hindi. These are the skills and qualities which puts BIRODH way above the rest. Thank you BIRODH, you have made us your friend for ever. We have also very high praise for our driver RAM. He was so humble, soft spoken and ever smiling. His driving skill is extra ordinary and we always felt safe in his hand. Thank you RAM. We wish you and your family very best. To finish with the tour, the farewell dinner was excellent . Thank you for that. Among the suggestion, I would recommend places like Manokamana and Chandragiri Hills to be included in the tour itinerary . Last but not the least we thank the management of Outfitter Nepal for giving us this outstanding trip of Nepal. We will always cherish it throughout our life. God willing we shall meet again. he Best of Nepal Tour by Outfitter Nepal has a good mix of city & nature sightseeing and light hiking. Arjun & NG are 100% responsive and very accomodative to our requests. We changed our transportation to private vehicle, added a trip to Nagarkot to see the sunrise & sunset, and we did the highly recommended mountain flight to see Mt. Everest followed by a tour of the Bagmati river. Special thanks to our driver, Rajendra, who navigates the notorious traffic like a pro. We feel safe and well taken care of in his good hands. The local guide, Rajit, took us around Pokhara, we had much fun and he even helped to carry my backpack on our way up to the World Peace Stupa. In Kathmandu, our guide is Birodh, he is knowledgeable with good spoken English. The accommodation in general are clean with hot shower and well located. Thank you all for making our 10-day trip full of unforgettable memories! Great city tour with so much to see. Thanks Birodh for the fun and information. Happiness is in colour. You are the best! We at Outfitter Nepal offers private vehicles for the airport transfers, sightseeing tour in Kathmandu and Kathmandu to Pokhara and to Chitwan and return. We organize the tour for single people to maximum 30 people and there will be guide/leader on each tour. You are required to make 10% (non refundable) payment in advance in order to confirm and book Best of Nepal along with your passport copy and flight detail (Arrival detail, flight name, number and time) and the remaining 90% balance is payable when you arrive in Nepal and you have options of paying the advance by bank transfer or credit card, so, do let us know which modes of payment is convenient for you then we will forward the detail for payment.